There is no limit to what students at Evergreen can accomplish. With open hearts and ambitious spirits, our students can do anything! You can be part of their journey. 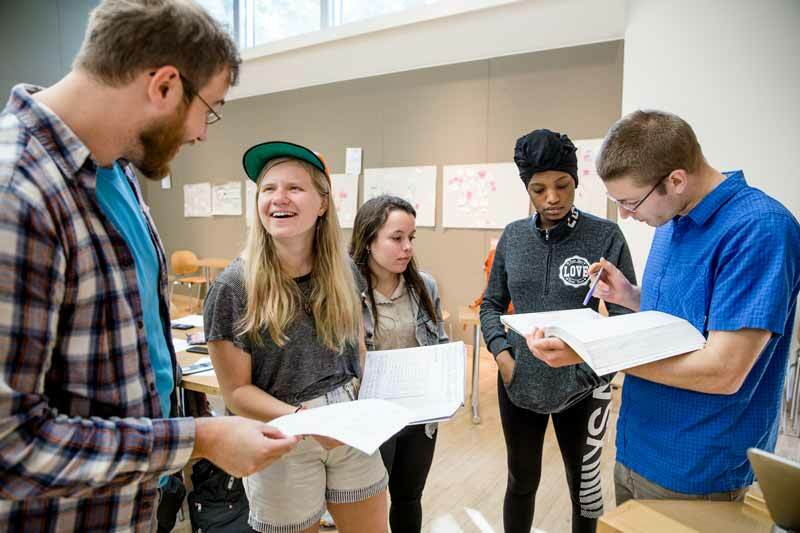 Find out what makes Evergreen a place where creative minds thrive and support your student. 90% of our graduates find success in careers, service, or in grad schools across the globe just one year after graduation. People thrive here because they immerse themselves in a real community that nurtures their passion and curiosity. They thrive after their time here because an Evergreen education anticipates careers that haven’t even been invented yet. Sign up for the Parent and Family Newsletter to get community news and information. 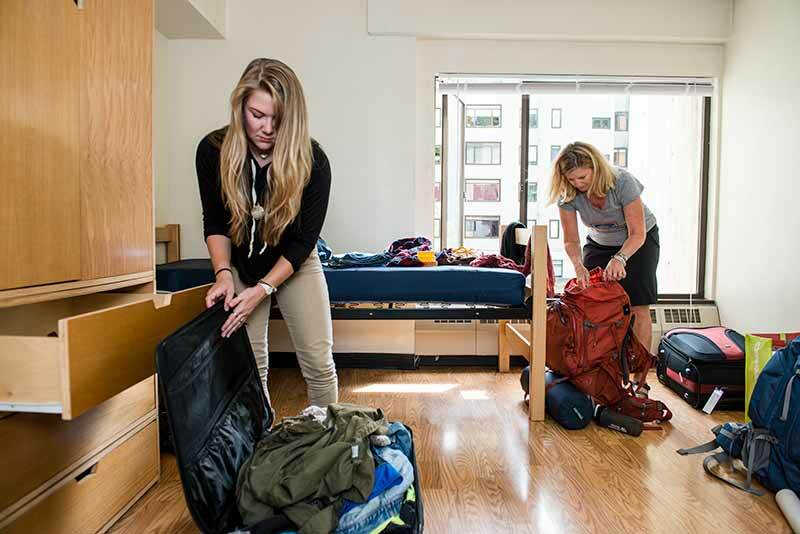 A parent helps her student move into on-campus housing. If your student is getting ready to get started at Evergreen check out the New Students site for all the important milestones and deadlines. College students’ educational information is protected by federal law (FERPA). We may not release educational records, health information, housing information, etc. without the student’s permission, even for students under age 18. If your student would like to share that information, they will need to complete a release form. Find out more about confidentiality of records (FERPA). Faculty Riley Rex leads a workshop for the program Introduction to Natural Sciences. Evergreen is an excellent environment for academically-engaged students. Your student will have the opportunity to develop a custom learning pathway to a Bachelor of Arts, Bachelor of Sciences, or Bachelor of Arts & Sciences degree. Invent, instead of following well-worn paths. We continually create new ways to approach learning, taking students through programs covering multiple subjects instead of separate classes. Evolve, instead of settle. We know we can always find better ways, and we are excited to work toward them. Focus, instead of major. We layer disciplines into individual expressions of scholarship, and prepare graduates for careers that haven’t been invented yet. Learn from others, instead of flying solo. We work in teams from the science lab to the dorm room to the forests and beaches that surround us. Evaluate, instead of grade. We use context and explanation to evaluate performance through narrative evaluations, rather than simple solitary letters. Clarify, instead of confuse. By writing an Academic Statement, students learn to summarize and explain their complex academic career. All new students are automatically assigned to an advisor and all students have access to engaged and knowledgeable professional advisors, career advising, and specialized services to meet their needs. Explore our unique academic experience. Find out more about advising services. Parents and family are invited to any open events on campus. In particular, we invite you to Return to Evergreen: two days for students, alumni, friends, and family. Living on campus supports your student's success. Students who live in campus housing, as about three-quarters of new freshman do, perform better in class and create a rich social life. Students are not automatically assigned housing; your student will need to log in and pay a rent deposit to reserve a space. Your student can participate in many different activities on campus. Student clubs cover a range of artistic, cultural, and social interests. The Costantino Recreation Center hosts athletics events, dance, and exercise opportunities. Students can work on the college radio station or newspaper. We provide support opportunities for students from many backgrounds, including people of color, LGBTQ students, and veterans. Check out the campus calendar. 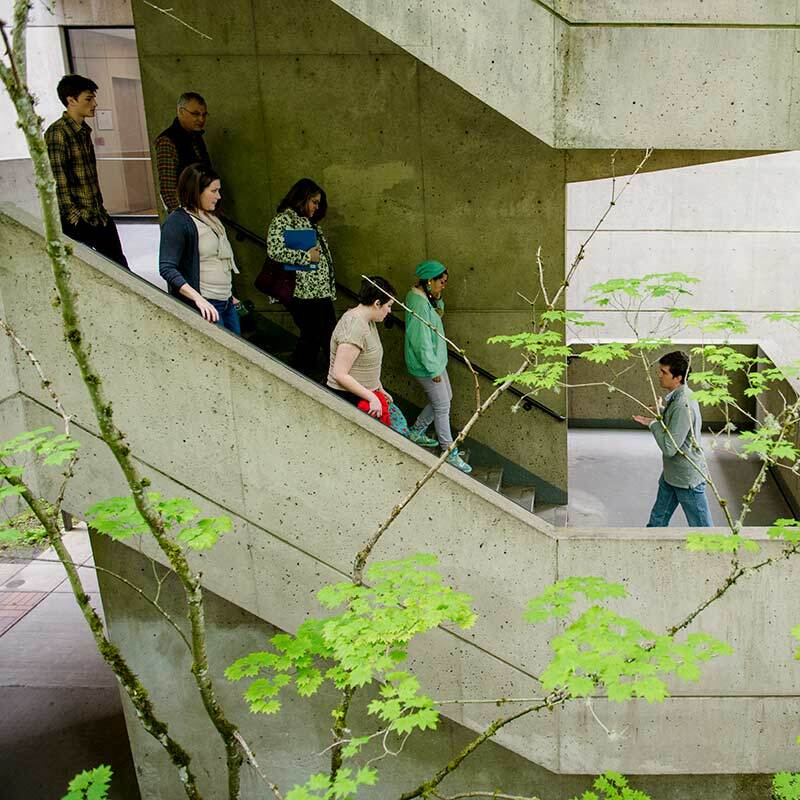 Tuition at Evergreen is the lowest in western Washington, and a tremendous savings over private liberal arts colleges in Washington or elsewhere. We also offer a number of different scholarships and a full range of grants and loans. During the 2014–2015 academic year, 64% of Evergreen students received some form of financial aid. The average award was $12,714. Review tuition and other costs. 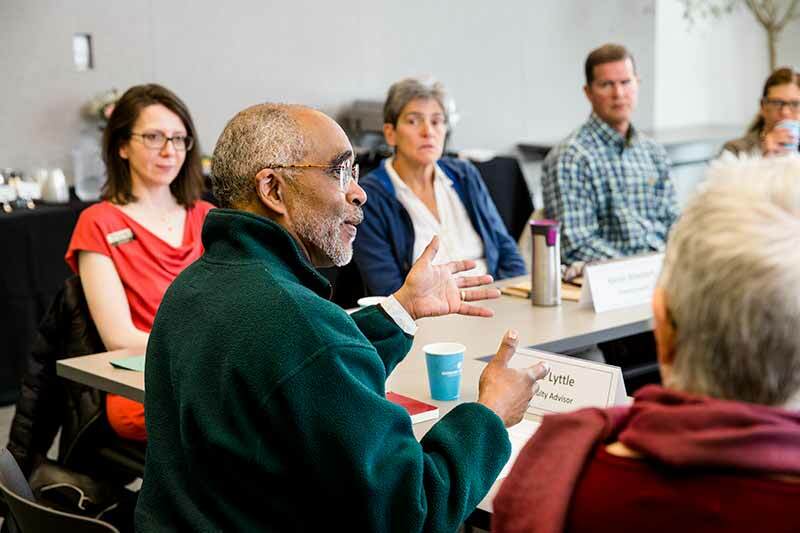 Connect with other parents, help enrich the Evergreen experience for students and families, and contribute your leadership in support of student success. Find out more about the Parents Council. Talk to an admissions counselor to find out information for your prospective student, schedule a visit, or ask questions. If you have concerns about how your current student is doing at Evergreen, we want to know. If this is an emergency and you are concerned about your student's safety, call the main switchboard at (360) 867-6000.